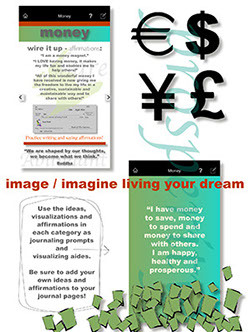 Apps | Derivative Light, Ltd. 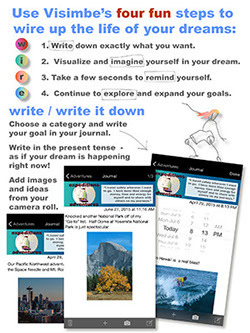 Imagine – Gather pictures of your dream in action, add them to your camera roll and simply insert them into your journal! 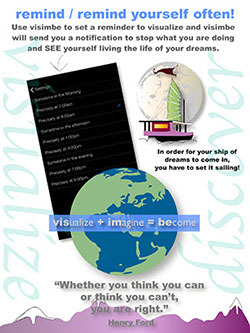 See yourself living the dream! Remember – Visualizing yourself living your goals and dreams multiple times per day is as important as actually having a dream! 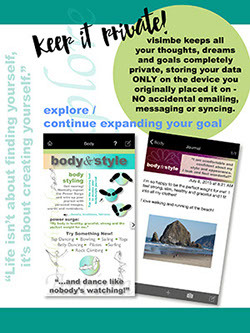 Reading your journal often reinforces and hardwires your dream into reality – it’s astonishing how easy it is to forget what we want while we go about the daily business of our lives. 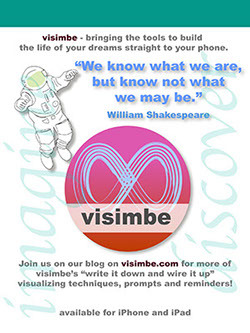 Visimbe’s built-in reminder system makes it easy to receive upbeat notifications to visualize! 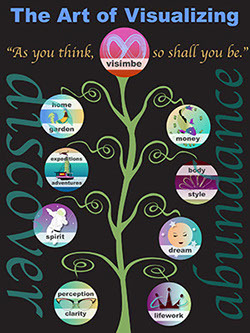 Explore – Continue to expand your dreams and goals using Visimbe’s guided journaling ideas, visualizations and affirmations.